Online Incorporation. 110% Best Price Guarantee or Refund. MaxFilings aims to provide the best business formation and incorporation services available on the Internet - and we stand behind our services and support with a guarantee that you’ll be satisfied. Our satisfaction guarantee – just one more way we help you get incorporated online with confidence! MaxFilings 110% Best Price Guarantee is part of our commitment to supporting small business and the entrepreneurial spirit by offering the best pricing available for online incorporation services. We don't just match a lower price - assuming you can find one - we add 10% to your refund, making ours the best available price for online incorporation, guaranteed. Your order must have been completed and payment processed within the previous 30 calendar days. The competing price must include the same services and options you purchased through MaxFilings. The competing offer must be published online and verifiable by our staff. That's all it takes! When you incorporate online with MaxFilings you can be completely confident that you've gotten the best deal available. If it turns out you haven't, simply contact us with your order information and a link to the published price you've found. 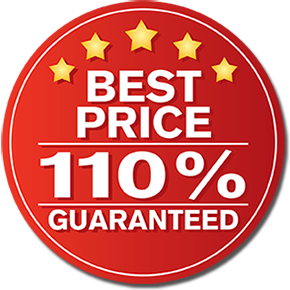 Once we verify the information, we'll refund the difference plus 10%, so you'll still have gotten the lowest price possible. That's why business owners who incorporate online with MaxFilings are always 110% satisfied.